This camp will be instructed by Cooperstown Elementary PE Teacher Matt Hulbert with assistance from Sports Center staff. This camp will provide excellent instruction in a positive learning environment. 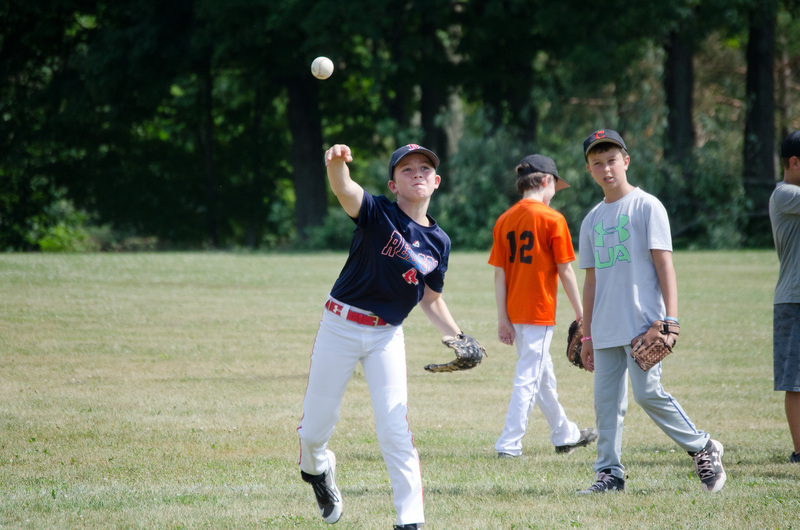 Campers will learn basic fundamentals of hitting, bunting, pitching, catching, fielding and positional play. Campers will then apply skills and strategy through playing games and contests. Campers should have hat, glove, spikes, water bottle, and proper baseball attire. (Baseball pants or sweat pants). Alyssa McCoy will direct this week of introductory dance skills. Alyssa danced eleven years at Donna French School of Dance and was a Jr. instructor at school as well. 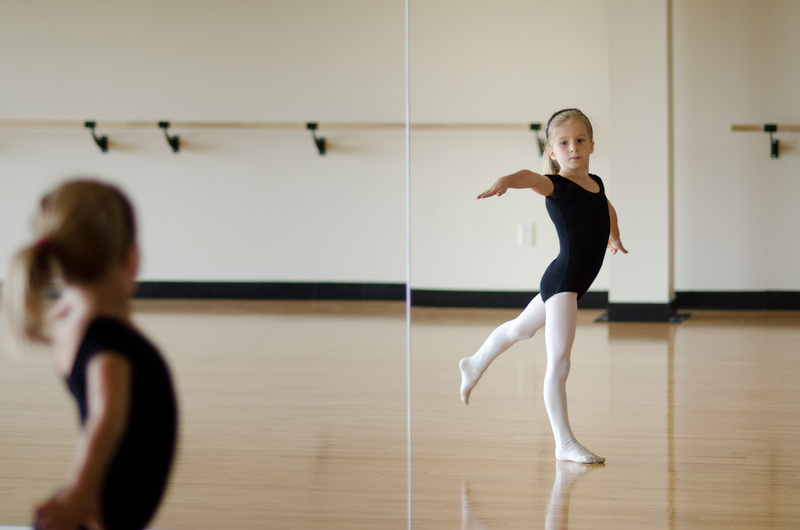 Children will learn feet positions, ballet moves, turns and jumps during the week long class. This will be a great starter class for your child to learn the basics and have fun while doing it. 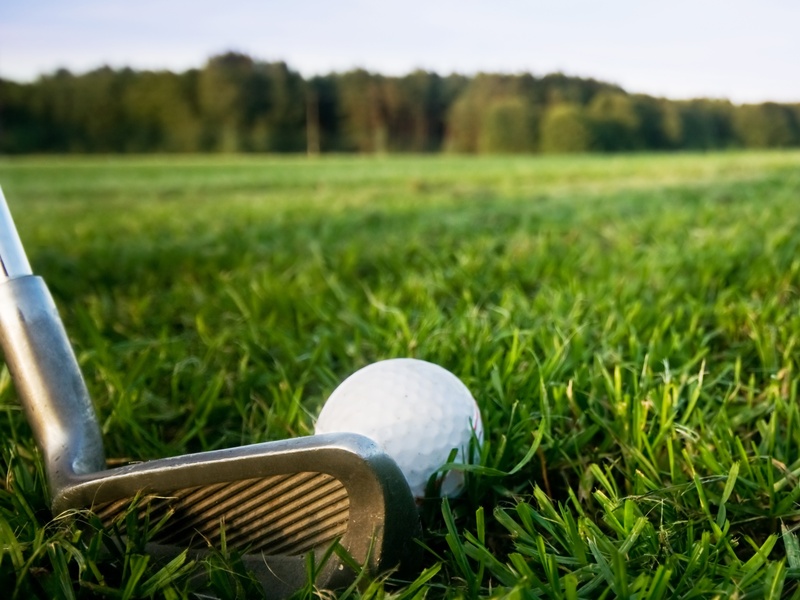 Location: Mon–Leatherstocking Golf Shop (short game session), Tues-North end of the Leatherstocking Driving Range (full swing session), Wed-Leatherstocking Golf Shop (on the course experience). Special Note: Must have own equipment. Meeting location is subject to change. Have you ever wanted to learn how to golf? Here is a great opportunity to do so. We are excited to offer an Adult Golf Clinic for beginner golfers. The goal of this clinic is to welcome new golfers to the game. Join Matt Smith, Head of Instruction at the Otesaga’s Leatherstocking Golf Facility, for a truly enjoyable experience. Matt will provide you with simple to understand golf instruction and give you a great understanding of what the game is all about. Register online at clarksportscenter.com and join the fun! Must be 18 or older and have your own equipment. 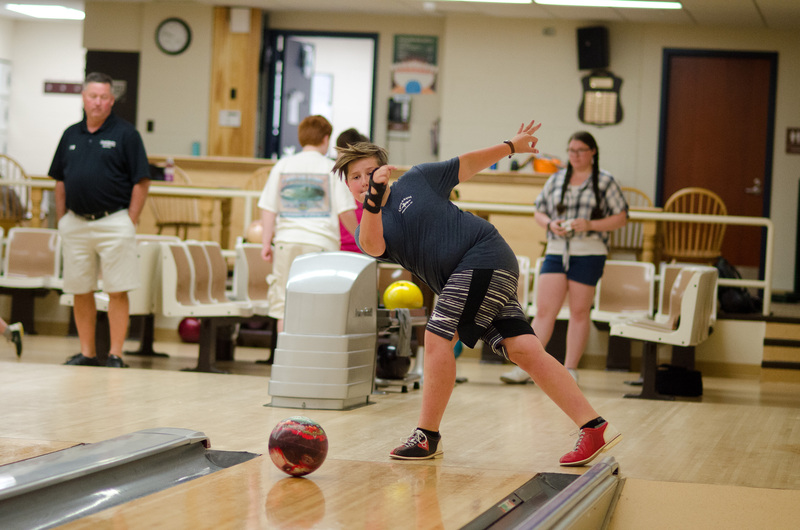 Bowling Camp will instructed by Clark Sports Center Athletic Director Barry Gray with assistance from Mike Kenney. Campers will learn the basic 4 step approach, working on fundamentals through drills and competition, plus one on one instruction. Friday will be the camp tournament with awards, pizza and drinks. Come join us for some fun! This camp will be run by Clark Sports Center basketball coach Scott Whiteman. Assisting in the camp will be former UMASS player Sean Nelen, with assistance from high school and college players. This camp will cover all skill aspects of the game of basketball. We will also incorporate skill contests and fun games. This camp is for all skill levels and promises to be the basketball highlight of your child’s summer. Special Note: Each child should bring a lunch. On Friday, July 12, camp will take place from 9:00am-4:00pm. Circus show starts at 3:00pm on Friday, July 12, for parents & guests! Sean Fagan created Circus Theatricks to introduce “children of all ages” to the athleticism and artistry of Circus and Theatre performance. 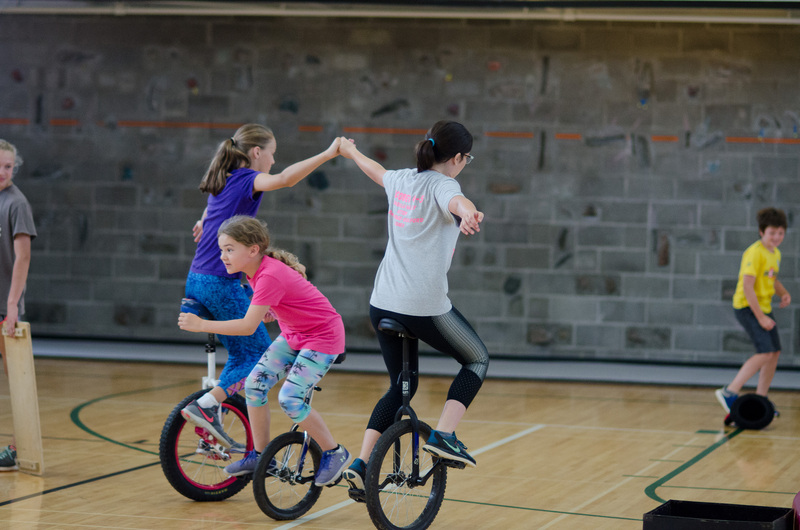 A former Ringling Bros. Barnum & Bailey circus clown, Sean’s theatricks include a wide range of ground skills proficiency including juggling, slapstick, pratfalls, stilt walking, unicycle, rolling glove, rola-bola, tumbling, partner acrobatics and more! This fun camp can help you develop your sense of confidence, bag of tricks, and build your skills on any level – process to performance! Circus show will start at 3:00pm on Friday for parents and guests! Developmental Competitive Swim Camp is for swimmers that are currently on a developmental swim team, or are looking to join a swim team. Campers will be working on technique, drills and endurance for the 4 competitive swim strokes, as well as competitive starts, turns and finishes. For safety reasons, children that join this camp must be able to swim unassisted 25 yards of Front Crawl, 25 yards of Back Crawl, and be able to do a head first entry into water 8 feet deep. A swim test to determine eligibility for the camp will be administered on the first day. 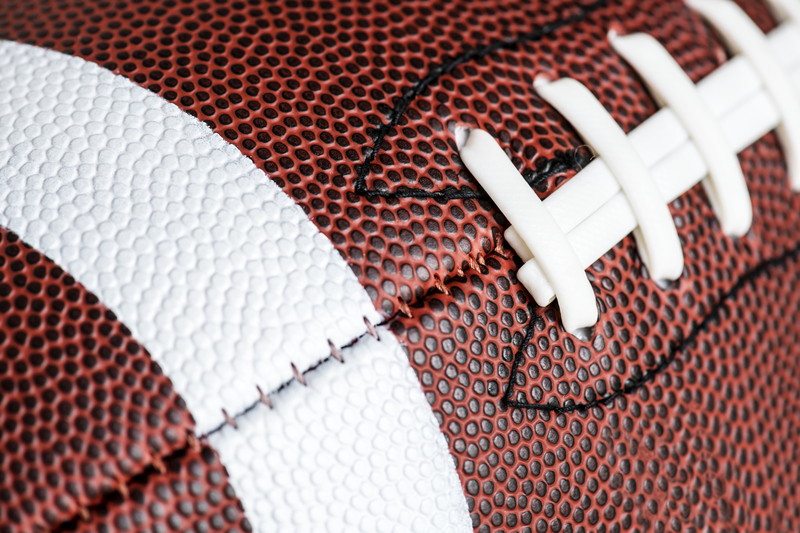 The 1st Football Camp at the Clark Sports Center will be coached by a mix of the Cooperstown Youth Football Coaching Staff, CCS Alum Football Players and a special visit from players/coaches of the Mohawk Valley Nighthawks Semi-Pro Football Club. This week-long camp will be filled with football-oriented skill work, drills and the basics of youth football. Campers will take part in daily skills that will culminate to an NFL Combine-like Competition on the last day of camp. This camp is designed to challenge the football enthused athlete, but also spark an interest in those considering playing football. The camp is designed so that pad and helmet equipment is not required, but it is recommended that participants bring and use their own cleats. Long time instructor and coach Betty Gavin-Singer will direct this camp. The program will provide first class instruction in an exceptional environment. Improved self-image, increased body awareness, and enhanced health and fitness are some of the outcomes for those engaged in these activities. Proper stretch and warm up will be in the daily program. Special Note: Sessions are Mondays and Wednesdays. The Intro to Strength Program is a beginning level movement program that will prepare athletes for future use of The Clark Sports Center’s Fitness Center. Movements using our Kinesis Line of equipment as well as our Escape Rig will be utilized along with teaching proper use mechanics. The Intro to Strength program will be run by the Health & Fitness professionals of The Clark Sports Center. Location: Mon/Wed/Fri–Leatherstocking Golf Shop. Tues/Thurs–North end of the Leatherstocking Driving Range. Dates: Monday, July 8–Friday, July 12 Special Note: Grades 4-6, 5:30-6:30pm. Grades 7-9, 7:00-8:00pm. Dates: Monday, August 19–Friday, August 23 Special Note: Grades 4-6, 5:30-6:30pm. Grades 7-9, 7:00-8:00pm. 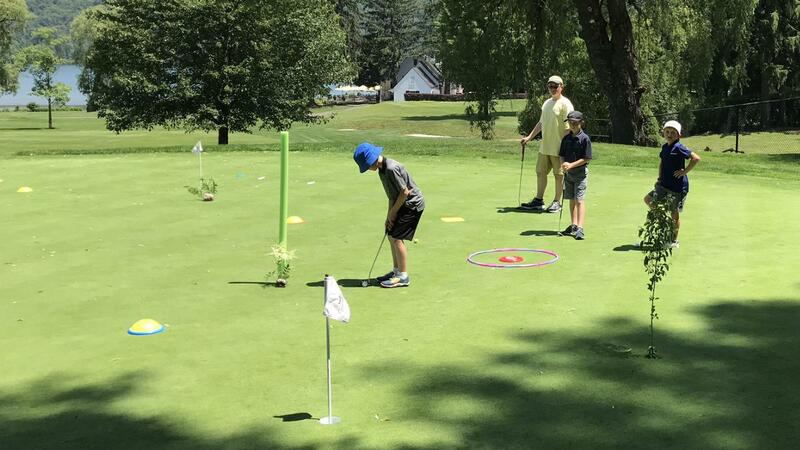 Head of Instruction and PGA Professional Matt Smith will be hosting this year’s junior golf camp at the Otesaga’s Leatherstocking Golf Facility. The goal of the camp is to provide your child with a basic knowledge and understanding of the game of golf. The camp will be fun, game oriented and focus on the basic skills needed that can provide your junior golfer a lifetime of enjoyment of the game. Must have your own equipment. 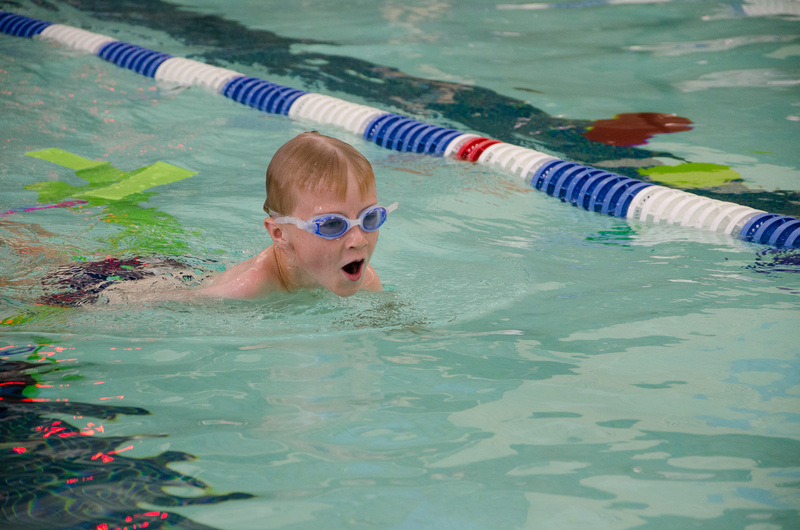 The Jr. Lifeguard program teaches children the knowledge and skills that professional lifeguards possess, including but not limited to personal fitness, teamwork, personal water rescue, and basic lifeguarding techniques. This camp will be directed by Scott Whiteman with assistance from Clark Sports Center staff. The four day camp will teach basic sport skills and develop hand/eye coordination through fitness activities that promote teamwork, sportsmanship and friendly competition. The campers will learn the basic fundamentals of multiple sports each day. Campers will need to have sneakers, water bottle and a snack for each day. Be prepared for indoor and outdoor activities weather permitting. A twice/week, 45 minute session geared toward improving vertical jump and leg power. Participants will be taught proper mechanics and be given a daily workout to meet these goals. Good for athletes in all sports that require generation of leg power. Please bring a water bottle. The Plyometric (Jump) Camp will be directed by Health & Fitness Director, Rich Jantzi. Rich is a certified Plyometrics instructor through NFPT and has over 20 years of experience with plyometrics. Frank Miosek will direct this camp. Frank has coached for over 35 years at all levels. Area coaches and Clark Sports Center staff will be assisting coach Miosek. This camp will focus on all the fundamentals necessary for campers to improve their skills and take their game to the next level. Coach Miosek will lead a team of coaches to instill proper fundamentals for your child. Spikes, shin guards and water bottles are required. Camp will be led by Frank Miosek and assisted by local coaches, high school players, and college players. This camp will deliver first rate instruction, superior team competition, and strategic and tactical skills needed for the motivated individual trying out for school soccer teams. Spikes, shin guards, and water bottles are required. Special Note: Sessions are Wednesdays and Fridays. No program on July 4. Each session of this camp will cover speed and agility work. Athletes will work on developing their footwork, changing directions, explosiveness, balance, proper body mechanics, reactions and quickness. Incorporating these skills into game related situations also helps improve tactical awareness of each player. Certified Personal Trainer Ben Maxson will lead this program. Special Note: Sessions are Tuesdays and Thursdays. No camp July 4. 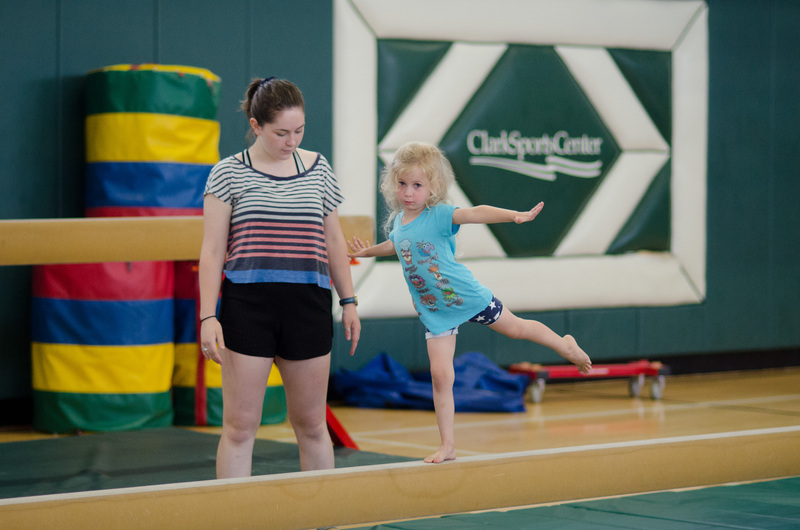 The Sports Performance Program is an all-inclusive program that will provide young athletes with a summer long training program to improve flexibility, core strength, agility, endurance, speed and overall body strength. All sports are welcome. Certified Personal Trainer Ben Maxson will lead this program. Summer Splash Camp returns! Join The Clark Sports Center’s aquatic staff for a week of water adventures. 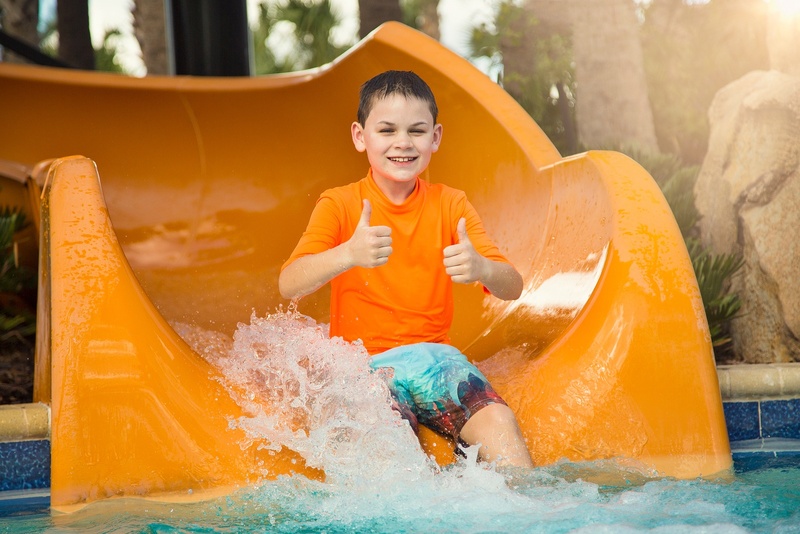 Trips include Glimmerglass State Park, Zoom Flume, Enchanted Forest Water Safari and an overnight trip to Six Flags Great Escape lodge where we will enjoy the indoor water park and Six Flags Great Escape theme park. Synchronized swimming is an aquatic sport that involves a mix of gymnastics, dance and swimming. Boys and girls are welcome, swimmers must be comfortable in deep water and able to swim 25 yards of front crawl without stopping. Instructors will review swimming skills and teach basic synchro skills including sculling, layouts, swim strokes, and underwater swimming. Learn how to do an Oyster, a tub, and water wheels! You’ll float and learn how to gracefully synch with other swimmers, creating patterns and gaining valuable water skills. At the end of the week, we will do a routine to music to show off the abilities you’ve gained. Swimmers will need goggles, swim cap, swim suit, towel, and water bottle for the day. Noseplugs will be provided. Special Note: Bring a lunch. Volleyball Club Camp at The Clark Sports Center is designed for Volleyball players who are looking to play at a competitive level. The camp will continue with fundamental based learning and expand to game-like strategy and team play. Beyond skill work, participants will begin to prepare for participation in Modified, JV and Varsity level volleyball. Beyond skill work, expect guest speakers, clinicians and sport specific volleyball training. This meaningful experience is directed by The Clark Sports Center’s Health and Fitness Director, Rich Jantzi. Rich has been the Varsity Volleyball Coach at Cooperstown since 2002 and is a CAP I USA Volleyball coach. Volleyball Prep Camp at The Clark Sports Center is a fundamental based offering for beginners. The camp will focus on all aspects of the game including skills, teamwork and most importantly fun. This meaningful experience is directed by The Clark Sports Center’s Health and Fitness Director, Rich Jantzi. Rich has been the Varsity Volleyball Coach at Cooperstown since 2002 and is a CAP I USA Volleyball coach. This camp will be run by Cooperstown Varsity Wrestling Coach Mike Croft. Mike brings many years of competing and teaching experience in the sport of wrestling. This camp will focus on introductory skills for younger campers and more extensive skills for older campers. A great experience for your child to learn the sport of wrestling or continue to cultivate their talent in a great sport. Reminder, this camp will meet and take place in the Cooperstown Central School.